This article has been specially written for thousands of pupils across Northern Ireland who are doing the Belfast Telegraph cross-curricular project on the 2018 World Cup. Over a six week period we will focus on star players from countries involved in the tournament, the places where games will take place in Russia and cultural icons of the host nation. You may remember the Russian city Sochi from when it hosted the 2014 Winter Olympics and Winter Paralympics. Back then, Northern Ireland skier Kelly Gallagher won Britain's first ever gold medal at the Winter Paralympics. Apart from snow-based activities, there are lots of other things to do in Sochi such as mountain climbing, diving and sailing. It is a very popular tourist resort often called the 'Russia Riviera' and is located along 140km of the coast near the famous Caucasus Mountains. The Fisht stadium being used for the World Cup was the venue for the Winter Olympics opening and closing ceremonies four years ago. Samara has a population of 1.1 million people and is renowned in Russia for being the country's aerospace centre. The rocket engineering centre called Progress is in Samara as is the Yuri Gagarin Park of Culture and Leisure. Gagarin was the first man in space and his spaceship was manufactured in Samara, which is the sixth biggest city in Russia. In tribute to the city's history, the theme for the design of Samara Arena was space. Tourists can enjoy Volga River in Samara and also visit a huge 37 metre deep bunker built for former leader Joseph Stalin if capital city Moscow had been taken by the German army in the Second World War. Which sporting activities do you take part in? My favourite sports are football and hockey. I play for our school football and hockey teams. I also play football for our local team, Valley Rangers, and have recently been selected to play for Northern Ireland U11. Who is your favourite sports person and why? My favourite sports person is Cristiano Ronaldo because he is brilliant. He is very skilful and scores lots of amazing goals. Which sporting team do you support and why? I support Manchester United. I think they are the best team in the world and my whole family supports them with me. Which country do you think will win the FIFA World Cup? I think Brazil will win the World Cup. With Coutinho, Firmino and Neymar they will have a great chance. In Spain's first match in this year's World Cup finals, their goalkeeper, David De Gea, made a big mistake by allowing Portugal's Cristiano Ronaldo to score one of his three goals in a 3-3 draw. Despite that error, the Manchester United star is regarded as one of the best goalkeepers on the planet. De Gea started his career as a teenager with Spanish side Atletico Madrid. After coming through the youth ranks, he made his debut for the first team in 2009 and went on to win the Europa League with them. His impressive displays led to interest from Manchester United who signed him in the summer of 2011 for £18.9 million. 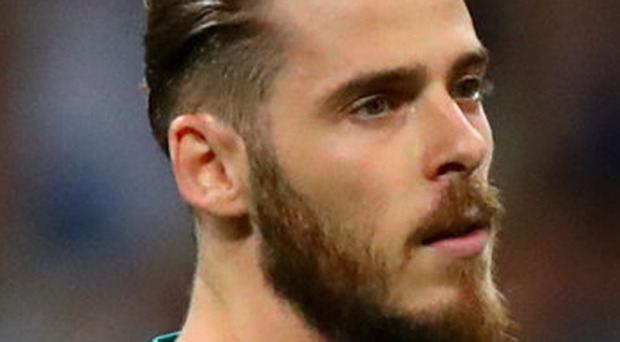 The Spaniard had a difficult start at United but has since established himself as the top goalkeeper in the Premier League winning the league title, FA Cup, League Cup, and Europa League with the Old Trafford club. For Spain, he made his first appearance at senior international level in 2014. Before that, he was a successful captain of the nation's under-21 side. Luka Modric is a superb midfielder for Real Madrid and the captain of Croatia. Modric is a big hero in his home country and that status was enhanced when he scored a penalty in Croatia's 2-0 victory over Nigeria in their first game in the 2018 World Cup in Russia. He made his debut for Croatia in 2006 and has been an inspirational and influential player for his country ever since, winning over 100 caps and being named 'Croatian Footballer of the Year' six times. From he was a youngster Modric had great potential. Dinamo Zagreb signed him in 2002 and three years later he made his debut for the club where he won league titles and cup competitions. Modric moved to Tottenham in 2008 establishing himself as a favourite with the fans. In 2012 Real Madrid came calling and he joined them for a fee of £30 million. Not surprisingly he has been a major success and part of a Real Madrid side that has won four Champions League titles.